Item # 159522 Stash Points: 9,995 (?) This is the number of points you get in The Zumiez Stash for purchasing this item. Stash points are redeemable for exclusive rewards only available to Zumiez Stash members. To redeem your points check out the rewards catalog on thestash.zumiez.com. 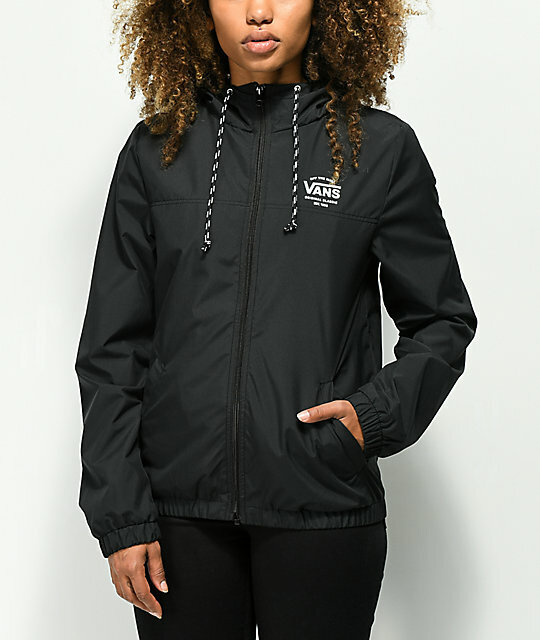 Simple, fashionable and functional, the Kastle black windbreaker jacket from Vans offers a traditional zip-up silhouette that also allows enough room for layering. 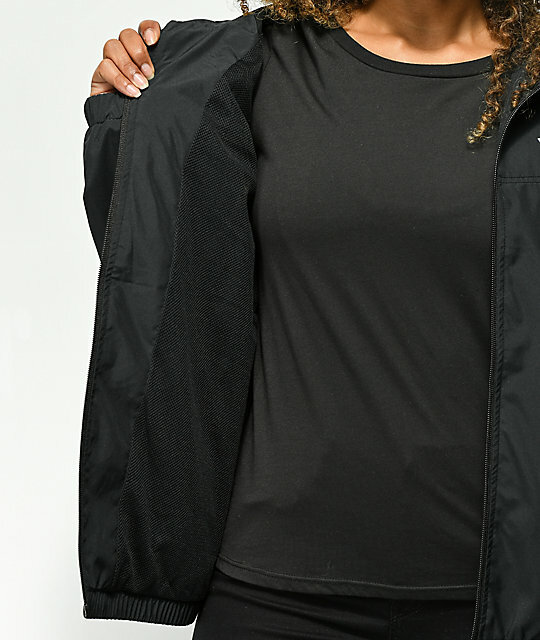 It features a white Vans logo graphic screen printed at the left chest, two front hand pockets and is finished with a black mesh lining throughout for a breathable fit. 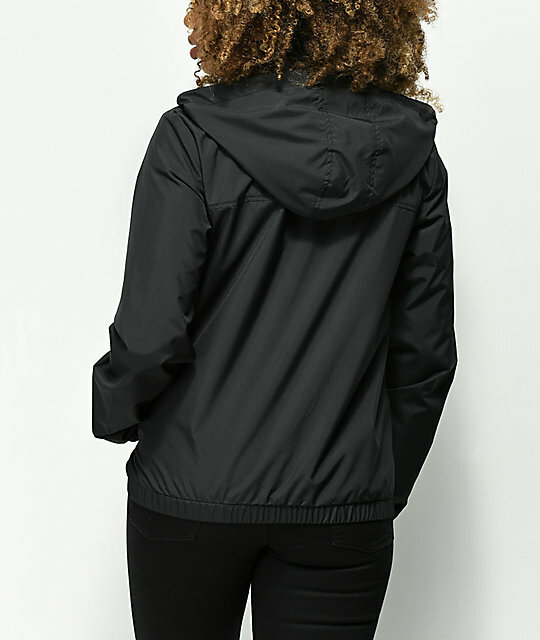 Kastle Black Windbreaker Jacket from Vans. Wind and water resistant construction.